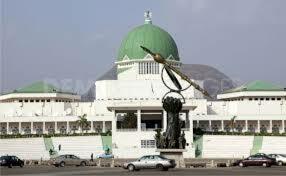 Nigerian Biography: List Of 109 Senatorial Districts In Nigeria And Their Composition. List Of 109 Senatorial Districts In Nigeria And Their Composition. THIS LIST CONSISTS OF THE NAME OF SENATORIAL DISTRICTS, CODE OF THE DISTRICT AND THE COLLATION CENTER OF THE DISTRICT. UMUNNEOCHI, ISUKWUATO, OHAFIA, AROCHUKWU, BENDE. COLLATION CENTER: THECOUNCIL HALL, OHAFIA LGA HQS. UMUAHIA NORTH, UMUAHIA SOUTH, IKWUANO, ISIALA NGWA NORTH, ISIALA NGWA SOUTH. COLLATION CENTER: THE COUNCIL HALL, UMUAHIA NORTH LGA HQS. ABA NORTH, ABA SOUTH, UGWUNAGBO, OBINGWA, UKWA EAST, UKWA WEST & OSISIOMA. COLLATION CENTER: ABA TOWN HALL ABA SOUTH LGA. ETINAN, IBESIKPO ASUTAN, IBIONO IBOM, ITU, NSIT ATAI, NSIT IBOM, NSIT UBIUM, URUAN, UYO. COLLATION CENTER: INEC OFFICE UYO LGA. ABAK, ESSIEN UDIM, ETIM EKPO, IKA, IKONO, IKOT EKPENE, INI, OBOT AKARA, ORUK ANAM, UKANAFUN. COLLATION CENTER: INEC OFFICE IKOT EKPENELGA. EASTERN OBOLO, EKET, ESIT EKET, IBENO, IKOT ABASI, MBO, MKPAT ENIN, OKOBO, ONNA, ORON, UDUNG UKO,URUE OFFONG/ORUKO. COLLATION CENTER: EKET LGA INEC OFFICE. MADAGALI, MAIHA, MICHIKA, MUBI NORTH, MUBI SOUTH. COLLATION CENTER: GOVERNMENT SECONDARY SCHOOL MUBI. DEMSA, GANYE, GUYUK, JADA, MAYO-BELWA, NUMAN, SHELLENG, TOUNGO, LAMURDE. COLLATION CENTER: GSS NUMAN. HONG, FUFORE, SONG, YOLA NORTH, YOLA SOUTH, GERFI. COLLATION CENTER: MMC YOLA. ONITSHA NORTH, ONITSHA SOUTH, OYI, OGBARU, ANAMBRA EAST, ANAMBRA WEST, AYAMELUM. COLLATION CENTER: ONISTHA NORTH INEC OFFICE. AWKA NORTH, AWKA SOUTH, NJIKOKA, ANAOCHA, IDEMILI NORTH, IDEMILI SOUTH, DUNUKOFIA. COLLATION CENTER: AWKA SOUTH. IHIALA, NNEWI NORTH, NNEWI SOUTH, ORUMBA SOUTH, ORUMBA NORTH, AGUATA, EKWUSIGO. COLLATION CENTER: NNEWI NORTH INEC OFFICE. 56 KANO NORTH SD/056/KN BICHI, SHANONO, BAGWAI, DANBATTA, MAKODA, DAWAKIN, GABASAWA, GWARZO, KABO, RIMI GADO, TOFA, TSANYAWA, KUNCHI, KARAYE BICHI LGA SECT. 91 PLATEAU SOUTH SD/091/PL LANTANG NORTH, LANTANG SOUTH, MIKANG, QUA’AN PAN, SHENDAM, WASE SHENDAM LG COUNCIL SEC. 92 PLATEAU CENTRAL SD/092/PL BOKKOS, KANKE, MANGU, PANKSHIN, KANAM PANKSHIN LG COUNCIL SEC. 93 PLATEAU NORTH SD/093/PL BARKIN LADI, BASSA, JOS EAST, JOS NORTH, JOS SOUTH, RIYOM JOS NORTH LG COUNCIL SEC. and have shared this on facebook.